You will receive a confirmation email once you register. A detailed listing of accommodations will be included with booking instructions. Please note: The NC REALTORS® hotel blocks are only available to registered convention attendees. Group blocks will be monitored to confirm all registered attendees. Does my spouse/guest pay the same registration fee? When you invite your spouse or guest who is NOT an NCAR member, your spouse/guest will receive the special guest rate listed above. This fee will enable your spouse or guest to attend all convention events, except those that require additional fees, such as continuing education courses and optional activities. If your spouse or guest is an NCAR member, both of you should pay the regular registration fee. You can register online by clicking "Register Now" on the left toolbar. Do I register once at The Homestead? Upon your arrival you will be welcomed by the Convention Registration Staff at the hotel where you will be given your name badge, program and other important convention materials. Admission to ALL convention functions is by your name badge ONLY and WILL be monitored. Registration is required to attend any and all events. Badges are not transferable. The registration fee will include all convention program activities with the exception of recreational activities. Yes, this includes education sessions, the Expo, the keynote address at the opening session, refreshments during the opening day of the Expo, a lunch in the Expo, opening evening reception, and many opportunities for networking. The daily registration includes only that entire day's activities, except for optional events. Do you have a convention schedule? Yes. Click here for the posted schedule. All events will take place at the hotel unless noted. You will receive a full refund, less $50 per person processing fee, if cancellation is received by August 31, 2014. Due to financial and contract obligations associated with meeting space, food and beverage and hotel rooms, no cancellations can be accepted after August 31, 2014 - unless there is a medical emergency. Cancellations must be in writing and mailed to NCAR. Cancellations will NOT be taken over the phone. No refunds will be given after August 31, 2014. I can't come to the convention after all. Can someone else in my office use my registration? Transfer of registration is not allowed under any circumstance. I've seen a logo advertising a code for Twitter. What's that about? To get convention updates, enter the convention hashtag, #ncarconv, into Twitter search or a Twitter application such as Tweetdeck. You will see one page with all of the convention tweets. 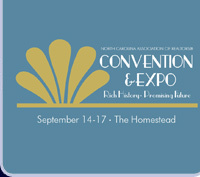 To add your own convention tweet, make an entry on your Twitter page and add the convention hashtag, #ncarconv, to the post. Your tweet will then show up on the same page with all of our other convention tweets.